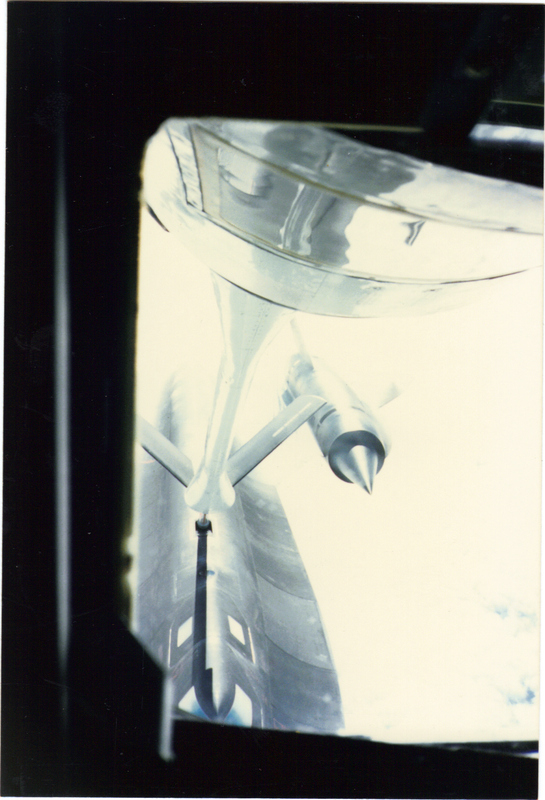 "The Joybird" suffered extensive damage and is no longer operational. 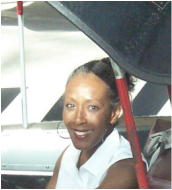 Joyce can hardly wait to fly again in the 2020 Annual Women's Air Race classic with her co-pilot, "sistah-friend," and race partner, Athina Holmes. They shared a thrilling experience racing as "Team Bessie" in the 2011 Air Race Classic, experienced a life-changing airplane mishap heading to the 2016 Air Race Classic, and have spent the past three years "re-vectoring their lives", they both are looking forward to racing again in 2020! Joyce retired from the USAF in 2009 after almost 25 years of dedicated service. She continued her "Air Force Connection" as a Jr. ROTC instructor at Highland Park High School, Topeka, KS where she served for three years. She shared the passion and gift of flight with many of her cadets taking them on incentive flights to the Amelia Earhart airport and museum in Atchison, KS. Following her time with the cadets, she transitioned to hanging out with Kindergartners as she taught kindergarten for three years at Cair Paravel Latin School, Topeka, KS. She currently teaches kindergarten at International Academy of Bright Stars, a Christian charter school also in Topeka, KS. Joyce has been a devoted member serving the Lord for the past ten years at South Knollwood Baptist Church, Topeka KS. where she teaches Kindergarten Sunday School, takes care of babes in the nursery, sings on the choir and with a Ladies Ensemble, and serves as church treasurer. She is also a charter member and the President of the KS Sunflower Chapter of Pilots for Christ International. With her love for aviation and her passion for serving Christ, she hopes to one day merge the two desires into becoming a pilot on the mission field. Athina is the epitome of a "flygirl" as she has traveled the friendly skies as a former (early retired YES!) 25-year veteran flight attendant (she was probably called a stewardess when she first started LOL!) for American Airlines. It is the many years in the industry that gave Athina the passion to pursue the most sought after seat on the airplane...The Cockpit! 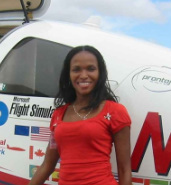 She took that enthusiasm and dedicated her time to achieving her private, instrument, multi-engine and commercial pilots licenses. She has also earned an Advance Ground Instructor, and Instrument Ground Instructor Certifications. It's not surprising that Athina would take on another position of service: Professor at Florida Memorial University. She is committed to inspiring young minds to achieve their goals of obtaining Bachelor of Science degrees in Aviation & Safety. Currently she is working diligently toward achieving her PhD in...Aviation of course! Athina is so enthusiastic about the many opportunities her flight training has to offer; some of her goals include: becoming a FAA designated pilot examiner, flight instructing, co-owning (with Joyce, of course) a Christian Aviation Commuter Company, and Cargo Pilot. Whatever aviation path Athina pursues, she will achieve her goals because of her passion, dedication, and professionalism. Here are more fun facts about this New Orleans native: she has a Bachelor of Science degree in Broadcast Journalism and has worked as a Production Coordinator and TV Host for a cable television variety show in TX and NYC. She has earned two culinary certifications from two prestigious culinary institutions in the USA and owns a personal chef business...."ONE HOT STEW" (stewardess). Check out some of her cuisines featured in our "Team Bessie" Gallery. YUM! Athina is excited to participate once again in the 2016 Air Race Classic. Although she placed in the top ten--7th place winning position in 2009, Athina is eager for the chance to make history taking home the 1st place trophy with Joyce. but, I'm praying for her replacement!! !